Prayer and play are on tap from Anthem, the youth and young adult ministry of the Philadelphia Archdiocese, this Saturday night. “Anthem Live” comes to the city’s Manayunk section Feb. 24 with a night of worship and adoration at St. John the Baptist Church from 7:30 to 9 p.m.
Anthem’s staff knows one doesn’t need a large crowd or a big cathedral to have a conversation with God, but there is power in experiencing prayer together under one roof, especially with the young adults of Philadelphia. Sean Forrest and John Niven will lead the worship and provide a way for participants to cut through the noise of life and open a space to hear God speak. 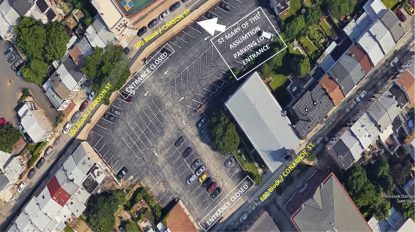 Parking for Anthem Live is free at the lot of the former St. Mary of the Assumption Church located on Carson Street between Silverwood and Baker Streets. Someone will help direct drivers. No overnight parking is allowed. Parking lot in Manayunk for Anthem Live on Saturday, Feb. 24. To get to St. John’s from the lot, walk east down Silverwood or Cresson streets to Rector Street. You can’t miss the biggest steeple in Manayunk. After the prayerful experience at St. John’s – located at 146 Rector Street in Philadelphia – participants will set out on Anthem’s 2018 Winter Olympics Bar Crawl. Young adults 21 and over can participate in two ways: purchase a single ticket and tag along in the fun without being on a team; join in the Olympics event for a chance to win prizes. The Olympics consists of a Country/Sport Costume Contest. You need 4 people to form a team, and country options are first come, first serve. Tickets are bought in groups of four, and countries will only be listed once. You will need to sign up fast before your desired country is gone. Your country/team will then choose the desired sport you wish to represent. Teams will be judged on country uniform as well as creativity in team sport apparel. Prizes include Gold, $100 per team member; Silver, $25 per team member; and Bronze, an Anthem glass stein. Tickets are $5 per person for both individual participants and teams. 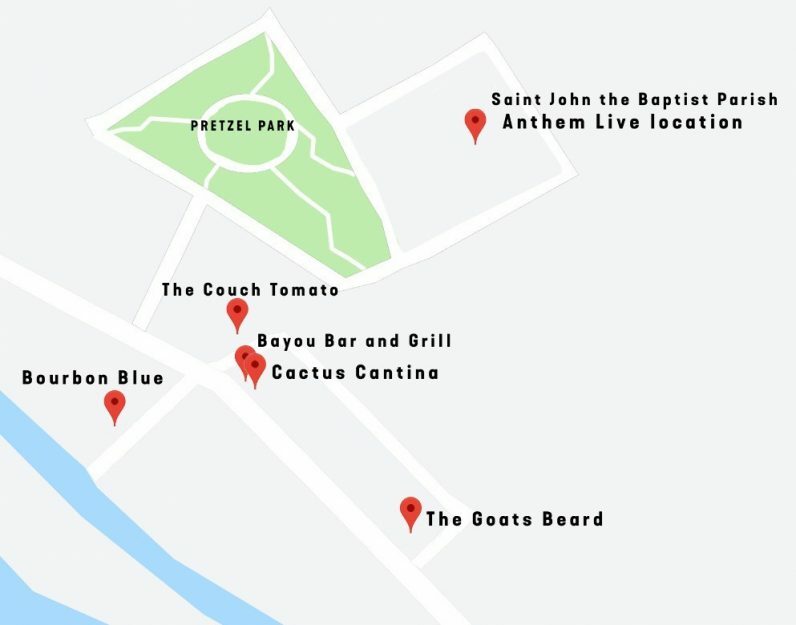 All ticket purchases include a wrist band for discounted drinks at the participating bars indicated on the map, and a ticket for food provided by Anthem including two slices of pizza from the Couch Tomato immediately following Anthem Live. See more details and a way to order tickets for the bar crawl event here.